Discussion in 'Red Sea Max Owners Club' started by Pancho75, Feb 24, 2018. I must say I have seen very nice tanks and now I believe it is my time to share. 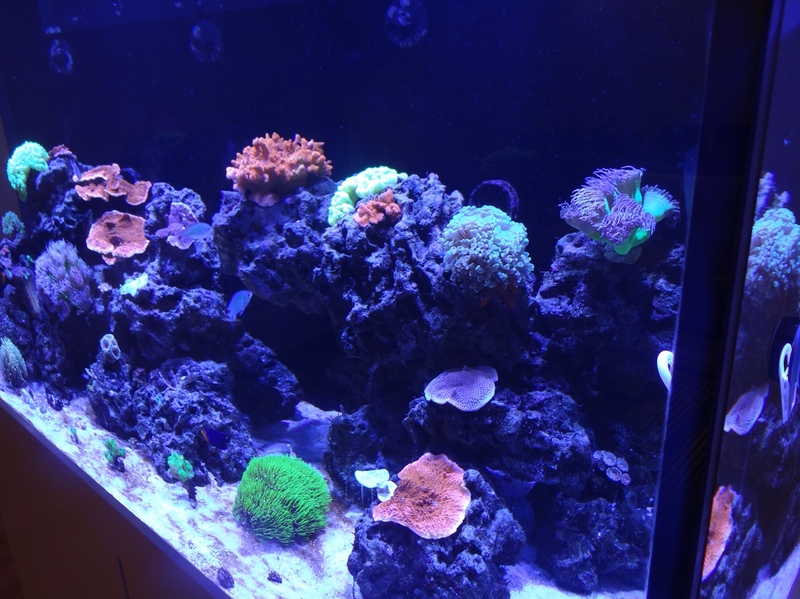 I have been in the hobby since 2007 but it was with Fish Only nanos until 3 years ago when I decided to go for SPS and LPS, started in my 70 L nano and since May 2017 I upgraded to the S-500. I must say it worth every penny, even with all the people who said it is too much. For me to have the equipment designed to work all together it is a big gain as I travel a lot and have long ours in an office. I guess I was lucky with the assembly since I did it with LFS owner, he always wanted to assembly one... anyway we tossed away the return pump foam instead of install it hahaha, had to pay the price for that hahaha. The system is in its 8 month and I am trying to go slowly... with not a lot of success hahaha. I started the AI Hydra using the Red Sea parameters at 50% but found a very nice light settings in Reef Central based on the Ecotech SPS AB study and I am giving them a try. 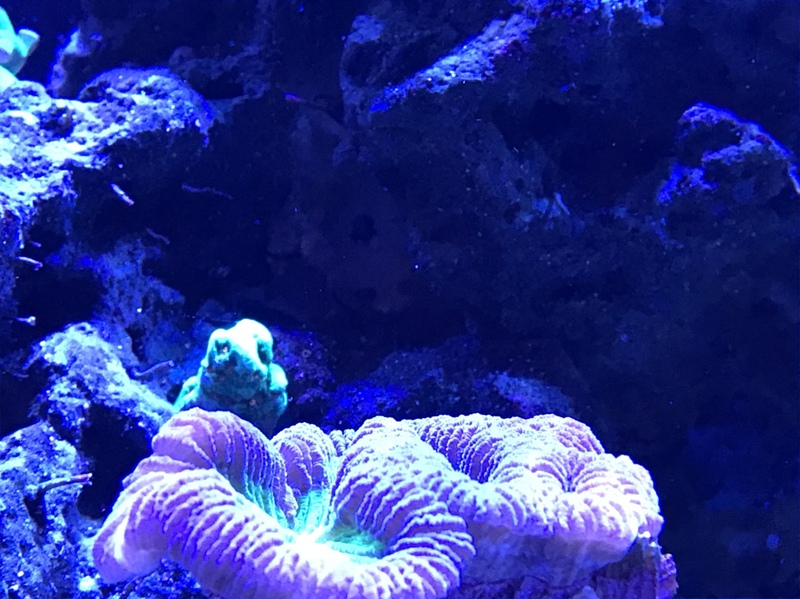 I am a firm believer of manual dosing, as it forces my to inspect the tank in detail and check if everybody is doing well and happy in there. I have 2 clowns (killers), 5 chromis, 2 pygmy angels a yellow tang and a fox face. I have had struggles with the fishes, lost 2 naso tangs and african also lost a six lines wrasse and finally the clowns have killed 4 chromis (hate them) and now waiting for a diamond goby next week to take care of the sand. The yellow tang rules the tank but the fox face is getting larger so I guess that will not last. Any ideas on the red digitata are welcome! Mike Bivens, The Great White Sharkman, nanoreefing4fun and 3 others like this. SaltyJon, nanoreefing4fun, SPR and 1 other person like this. Awesome pics! Fantastic looking tank! Thanks Pat! I hope to learn fast! Your tank looks good. I don't see any specific issues. 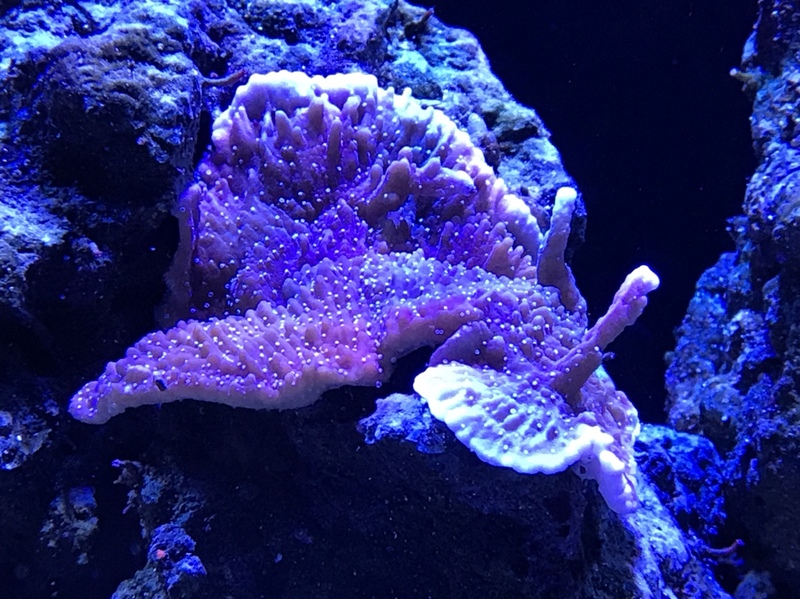 I have never kept red digitata so I can't offer any first had advice, however you can check a few things. Sometimes corals get involved in "chemical warfare" with each other. you might try moving the red digitata so that it's gets it's flow directly from the return pump. This should be the cleanest water. If your not doing it, you might try using some carbon filtration. Note, carbon is somewhat controversial and others like media such as purigen. Make sure the coral has no damage. 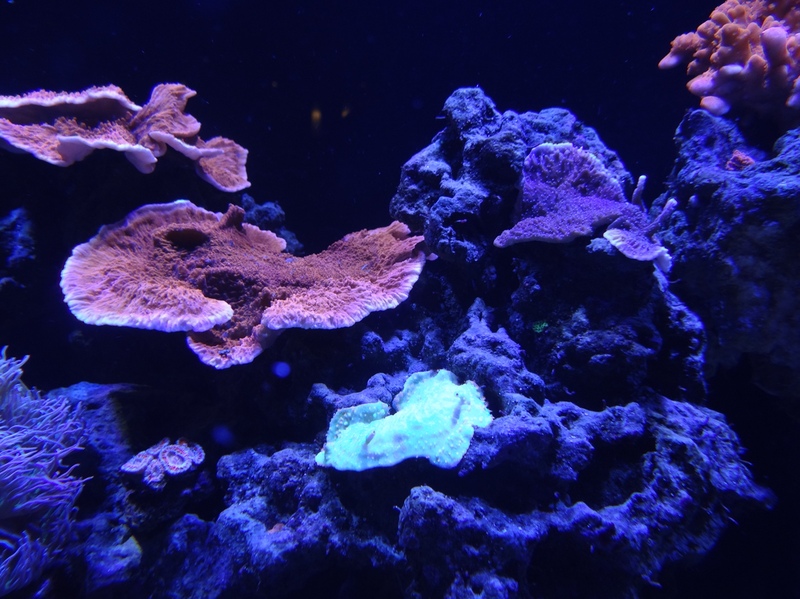 Sometimes it's best to dip a coral even after you have had it awhile, especially if there is tissue loss. 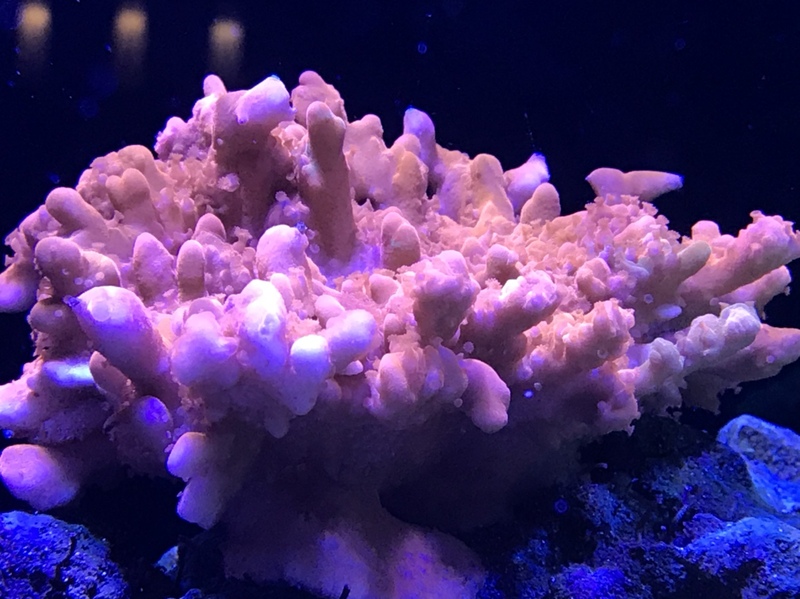 Lastly, sometimes no mater what you do you just can't seem to keep one species of coral, even though it's considered easy. In that case, don't let it get to you and get another species of coral. Pat24601 and Pancho75 like this. All looks very nice Pancho and well done! 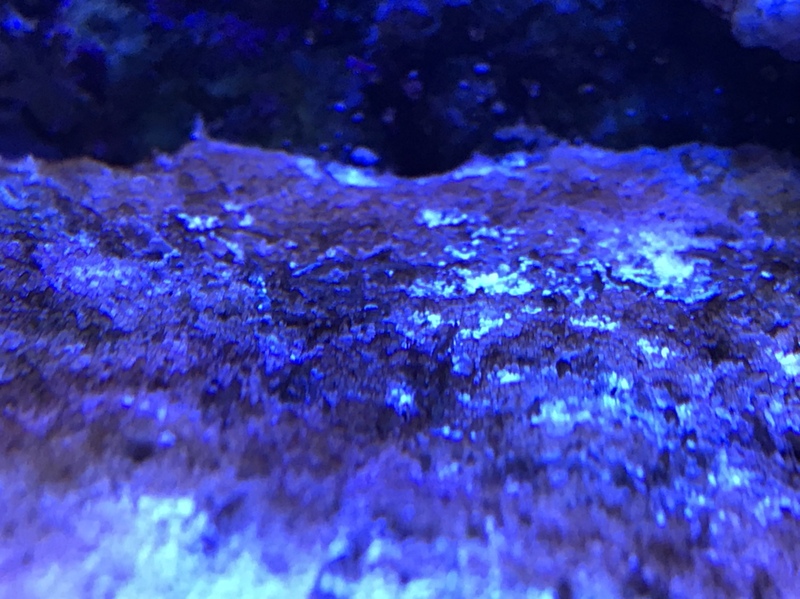 Do you have any close up pictures of the brown stuff growing on the sand bed ? If you look it’s much worse on the left hand side and better in the right were the main return pump is and I’m just wondering if you need to adjust your rear flow nozzles in view of the amount of rock work you have. I had a similar issue which looked very much you like you have when it started. Also it looks like at least one if your rear circulation vents is missing ? There are 3 midway up the back wall ? Unless it’s just the photo. Pancho75 and Pat24601 like this. Thank you Dave! I try another location today, that zombie should come back to life! Thank you Sean, I guess the missing nozzle is because mine is a S-500 vs. your S-600; mine has only 3 nozzles + the return from the pump. Any suggestion? My water parameters have been good so far though, I am testing the water every week. I was talking about the circulation vent on the right hand side. Just looks from the photo like the round vent that screws into it is missing, but maybe it’s just the photo. The browning of the sand looks very similar to the start of a problem I had and if you look on page 2 of my build thread, half way down and look at the pictures of parts of the sand, and then see what they turned into. 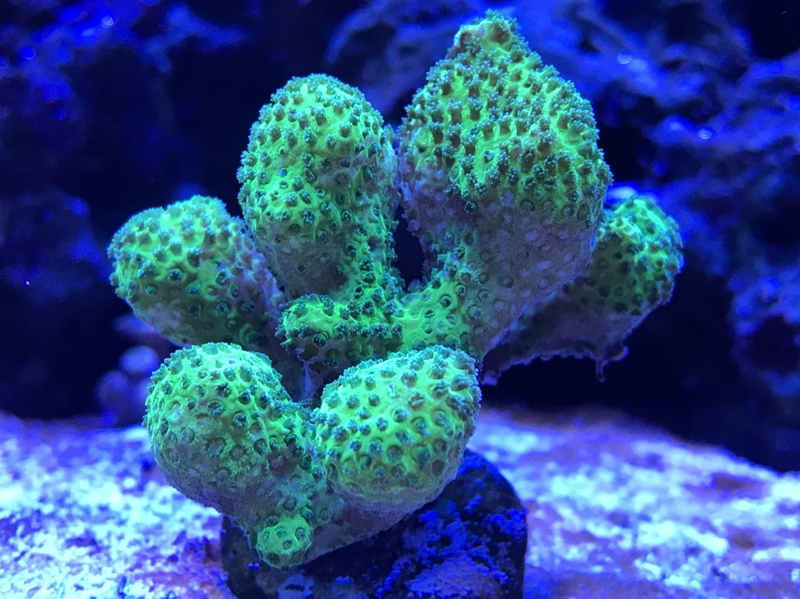 If you start getting any sign of ‘bubbles’ forming it may be what I had as it’s looks identical, but it’s difficult with photos and there are of course many variations of algae. At the moment your left hand ‘nozzle’ looks like it’s pointing virtually straight out. 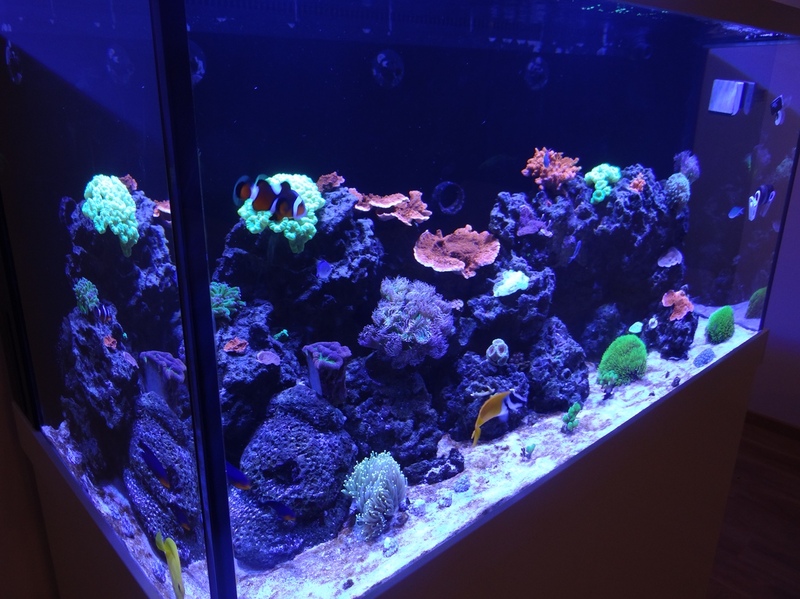 I would point it hard left and fully down to increase flow around the left hand side of the tank and see what that does. If you can bare not to see your tank for a few days I would do a blackout as well for 3 days, or maybe try this later after changing the flow. It might be worth pointing the middle nozzle down a bit as well for the centre of the tank. You may find you get a bit of sand blown around but this will settle and if need be just add some larger size grains/coral bits to cover it if you need to. Nobbygas, Pancho75 and Pat24601 like this. The Diamond Goby will work wonders with your sand. For me, I've also found Vibrant to be very good for Algae control. Wow! 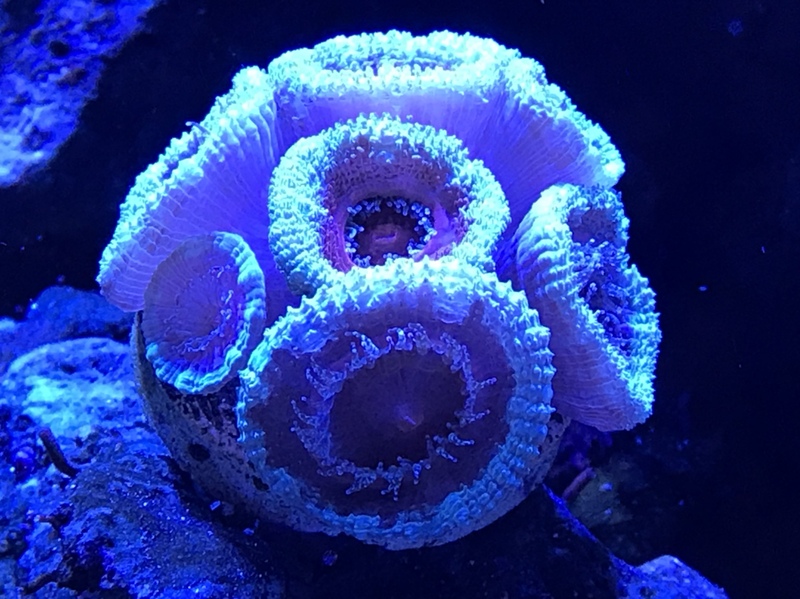 it is exactly the same thing, so dinos I had them before in my 70L nano. The first time I was living in Japan and I eliminated with continuos water changes. I was thinking to do the same but reading on your replay and your thread, the 3 days blackout sounds like the fastest way to go, did you have impact on your corals? I just added some stylophor and chilli peper monti frags I would not like to impact them. I will also try the nozzle suggestions, thank you! I hope so Nobbygas! the vibrant is the same as the yellow clown goby? do they get along? I heard the diamond was very territorial. As soon as I saw it it brought back memories. I was new so didn’t recognise them as I thought it was just algea until the bubbles came. 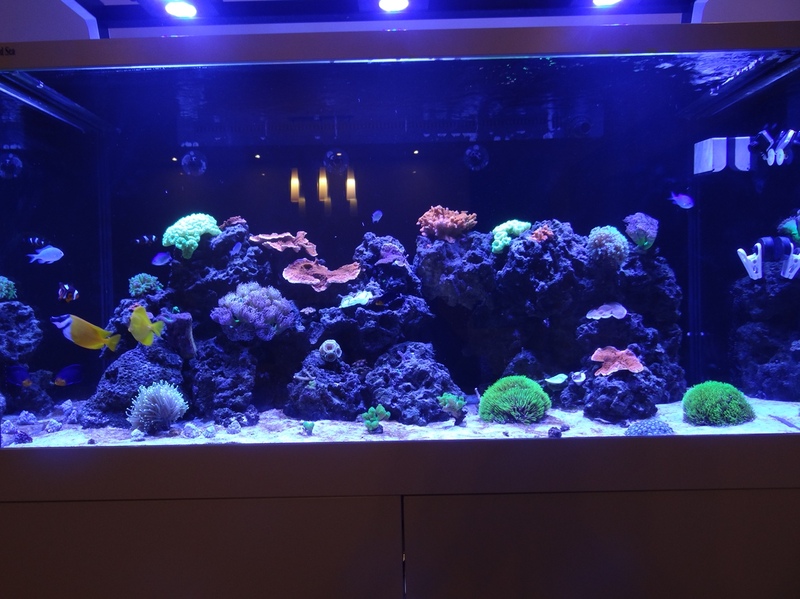 The 3 day blackout didn’t affect anything corals etc., and the tank looked spotless when the lights came back on. It’s really only like a few dark stormy days in the ocean. Also the increased flow definitely helped and they never came back. The blackout was just closed curtains and all lights off so I didn’t wrap the tank or anything extreme. It was just very frustrating as I couldn’t see the tank! Pancho75, Nobbygas and Pat24601 like this. The problem with a black-out is that you're not fixing the problem. A black-out may seem to get rid of them, but it's the cause you have to fix otherwise they'll probably return. OK I will try, lights will be off starting tonight. SPR and Pat24601 like this. Pancho75, Pat24601 and Nobbygas like this. Lovely tank Pancho. The colour spectum from your light looks fantastic. 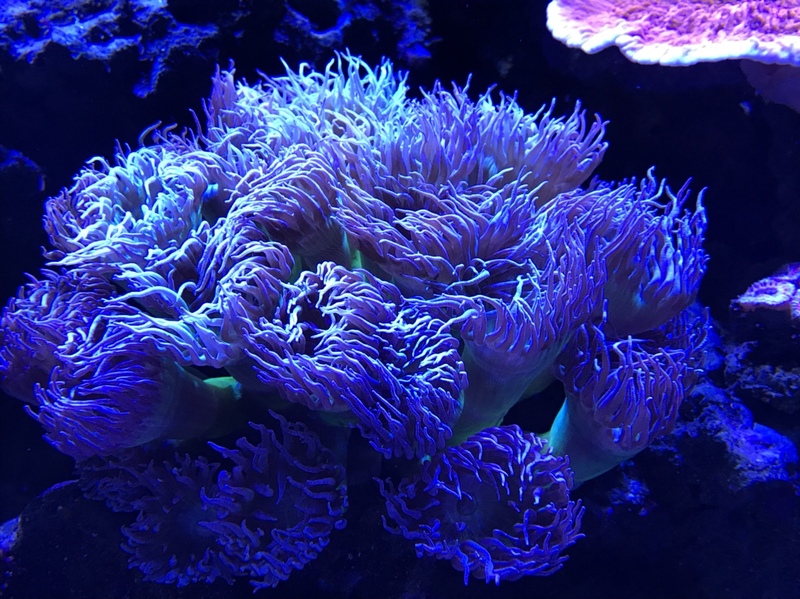 I had done a 5 day black out before but that was mainly LPS corals and it did make a difference in conjuction with manual removal. Good luck. Nobbygas, SPR, Pancho75 and 1 other person like this. 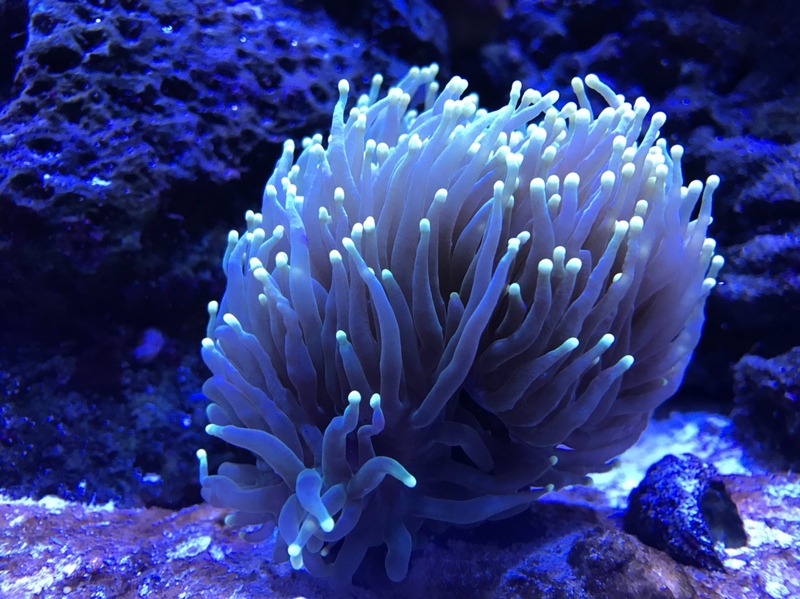 Cheers for starting a tank thread - beautiful tank ! SPR, Pancho75 and Pat24601 like this. Thank you @discol76 and @nanoreefing4fun! I love the hobby. nanoreefing4fun, Nobbygas and SPR like this. It's a fantastic hobby! She Who Casts No Shadow said to me the other day, "do you realize how much time you waste just looking at that tank?! "......I replied, "believe me, it is not time wasted". Pat24601, nanoreefing4fun, Pancho75 and 1 other person like this.